If you have a brilliant idea for a story/narrative but are worried that we'll close submissions before you've had the chance to finish.....then...drop me an email and I'll reserve you a page. 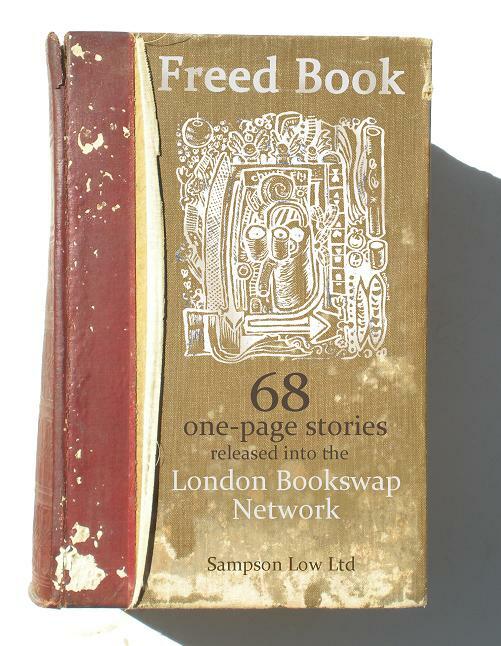 On the 24th November we'll be releasing copies of the Freed Book into the Books For London network. Its a great network of bookswapping libraries and always on the look out for volunteers, so why not get in touch with them. 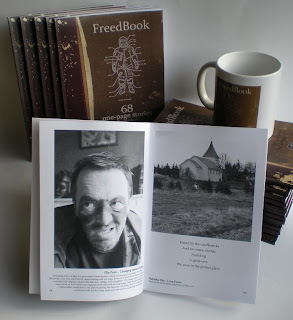 Follow the link (right). Their support of this project has been a tremendous boon. 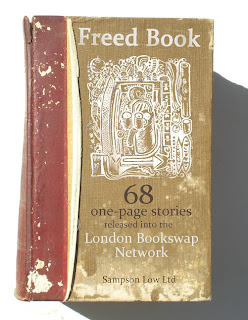 "FreedBook is exactly in line with why I started the Books for London campaign, bringing people all across London new things to read and giving budding authors and artists a chance to showcase their wares". Here they all are. 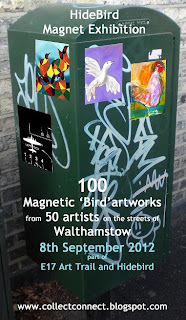 100 'birds' on the side of E17's Hidebird in Barrett Road, Walthamstow. But they'll be flying the coop this Saturday, 8th September at 11am. Dean has printed them on small magnets (5x7cm) and we'll be placing them on metallic surfaces in the centre of Walthamstow. There's a slight change of plan. We'll be meeting at the Big Screen, which is between Walthamstow Central Station and the Library at 11am. Dean and many other artists will be placing 'Art on trees' for hungry collectors at 10am. So join in with this too if you fancy. 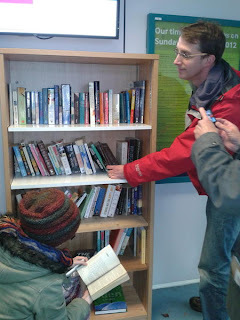 Eventually we'll be making our way back to the Hidebird at 28 Barrett Road for a cup of tea. 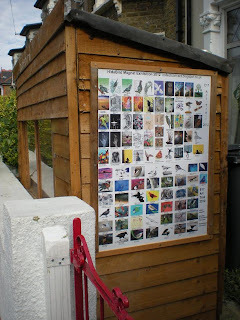 Welcome to the HideBird Magnet Exhibition. We'll be releasing 100 magnetic 'bird' artworks into the wilds of Walthamstow on Saturday 8th September. 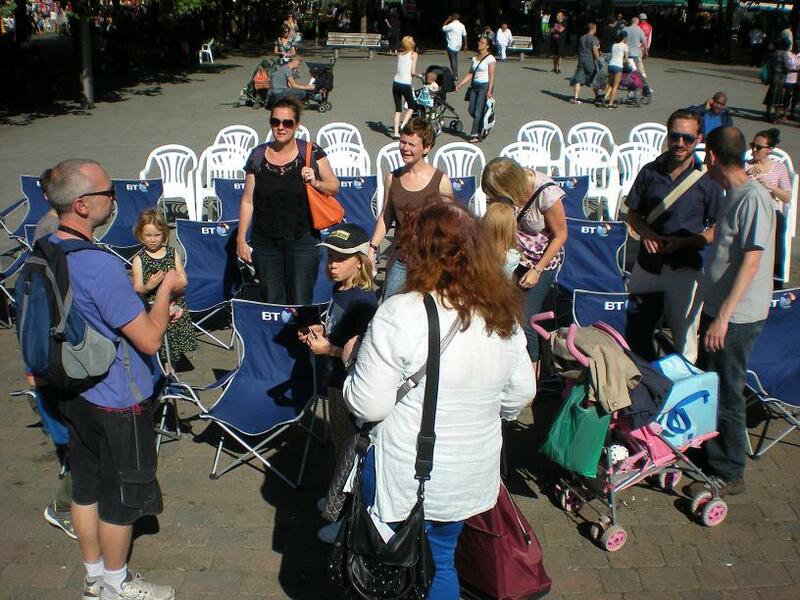 Why not come and join us, or search for the birds themselves, pick them up and take them home. Its all Free. There's a full list of all 50 artists who contributed on the artist's page and you can follow links to their website there. There is a full catalogue on the slideshow (right) click on it to see the full range. If you're interested in getting involved meet us at 11am by the HideBird in the front garden of 28 Barrett Road, Walthamstow on 8th September. Submission is now closed for the HideBird Magnet Exhibition. Thankyou to everyone who contributed. Welcome to CollectConnect and our exhibitions. 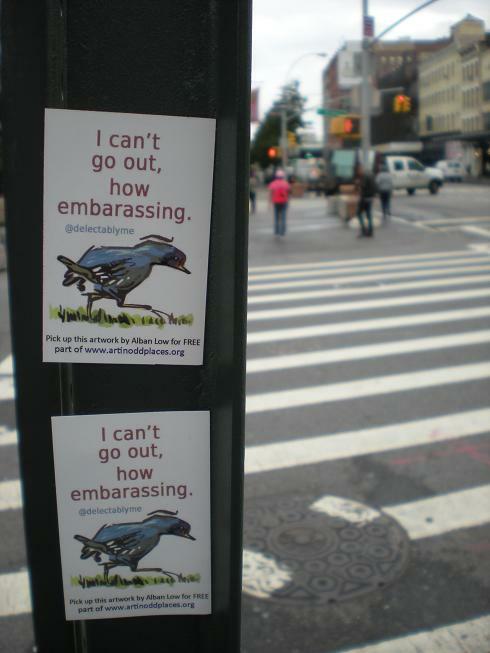 We're 4 artists who have been exhibiting together in public spaces since 2010. This is the start of a new venture to bring a more varied pallette of ideas and art opportunities to you. You can find more about us on the pages (right). But that isnt why we're here! We want to get YOU involved by contributing and/or collecting. Have a look at our ideals page to see what we stand for. 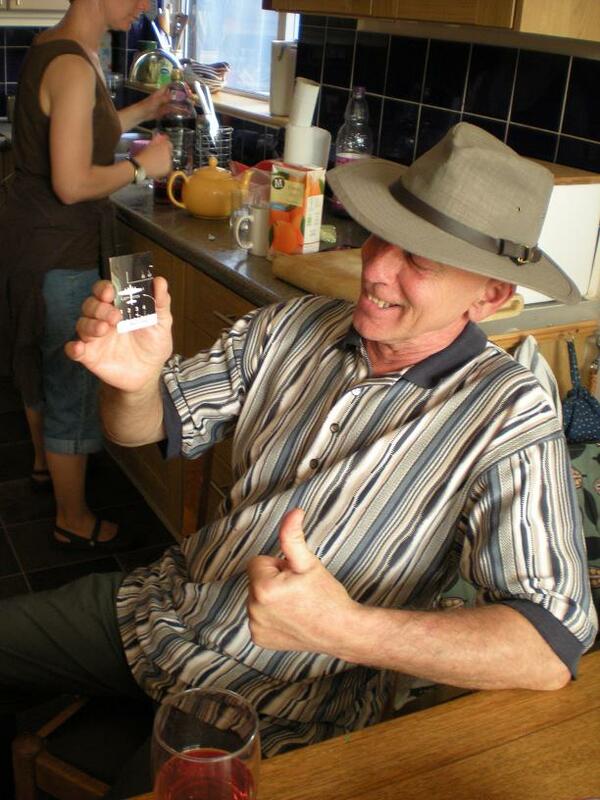 Our first exhibtion will be run by Dean Reddick. On his home patch in Walthamstow as part of the E17 Art Trail. He'll be posting up more details next week about it. The photo (above) should give you clue.